Handmade jewelry includes all types of crafts from metalsmithing, origami, beadwork and much more. If you are considering turning your hobby into a business or just want to include your name on your work, there are a few options to "sign" your jewelry. Just like a painter signs a canvas, putting the artist's name on the jewelry showcases who made it and adds a valuable design element. Two popular methods for signing finished jewelry is to either stamp the pieces or attach a stamped metal tag. Jewelry stamps are made of metal and normally look like a spike or a large nail. On the end of the stamp is a relief with a marking such as initials, name, logo, or design. The end of the stamp is positioned over the piece to be marked and a hammer is used to strike the opposite end of the stamp, imprinting the stamp onto the jewelry. A stamp allows you to mark directly on the piece of jewelry, but only if the jewelry made of metal. If your jewelry does not allow a spot to be stamped, such as a beaded necklace or wire piece, then you must use other options. Stamps are sold through a number of online retailers and are available in many craft stores. Some retailers will develop a custom stamp based on your logo or personal design. Other options include standard letters (for initials or company name), standard shapes, and pre-made designs. Metal tags are available in a variety of metals such as plated base metals and sterling silver. They can be purchased blank and then hand stamped with a metal stamp featuring your design or logo. Another option is to buy the tags already marked with your image. While this might cost a little more, it will be a timesaver since you avoid stamping all the little tags by hand. Many findings suppliers and stamp suppliers sell blank tags and most casting services can create the pre-marked tags with your design. Prices will vary between companies, depending on the type metal, the design, and the quantity you are ordering. To attach the metal tag, simply use a jump ring. Place it in the tiny hole in the tag and then attach it to your piece of jewelry. Keep in mind how the buyer will be wearing the jewelry and if you want the tag to be a prominent part of the design. 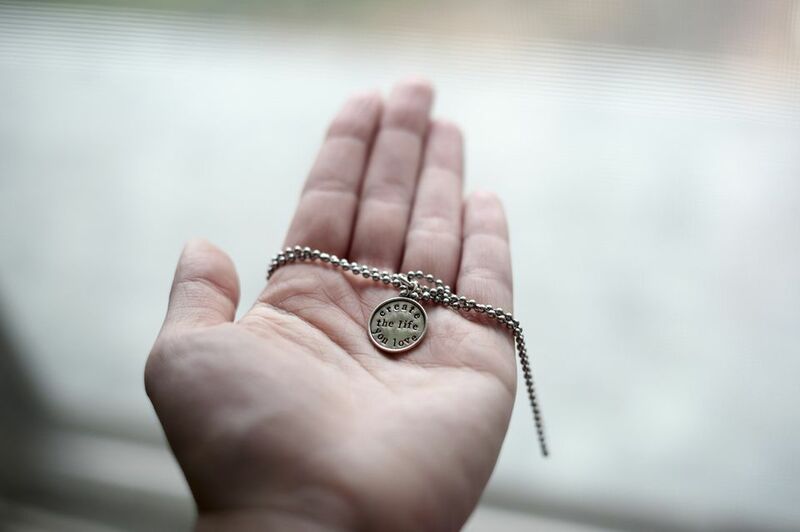 Putting the tag near the clasp of a bracelet or necklace will help keep the tag out of sight. Metal tags are probably not necessary for earrings as they will likely impact the design. If your goal is to create brand recognition, it's best to use a tag or stamp design that is easily recognizable and remains consistent on all of your designs. This way your customers will know your jewelry and easily identify it. Once you have established a brand design, use it in other ways, such as business cards, posters, signs, website or other materials for your jewelry business.